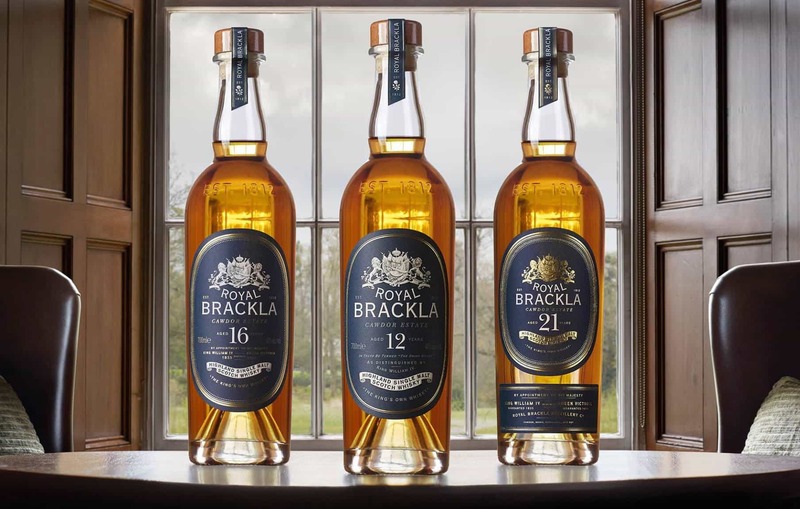 Royal Brackla is part of the Last Great Malts range. Which is to say it is a previously overlooked distillery in the Bacardi portfolio, which has been sexed up, repackaged, re-vatted and generally its whiskies are being very well received among Scotch drinkers around the world. I’ve very much enjoyed other Last Great Malts, such as the Autlmore and Craigellachie releases, so I was very keen to get stuck into the new Royal Brackla whiskies. 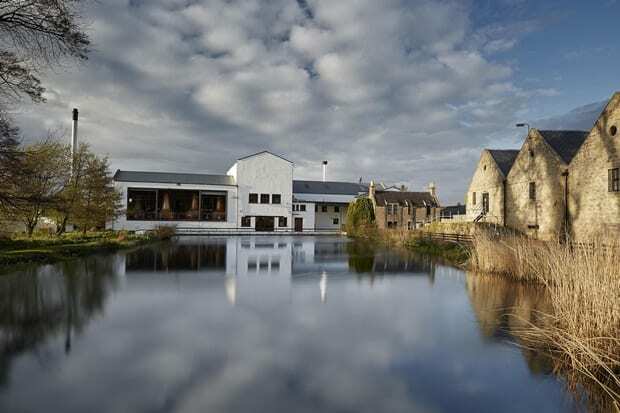 Brackla distillery, as it was known before it got its Royal Warrant, was built in Speyside in 1812 by Captain William Fraser of Brackla House. That makes it… very old, as far as distilleries go. It was a decade before the Excise Act of 1823, which sanctioned distilling of whisky for a license fee, and paved the way for the modern whisky industry. In 1835, King William IV – whose reign saw the abolition of slavery – bestowed a Royal Warrant upon the distillery. It was the first distillery to get such a label, and its spirit was henceforth known as the ‘King’s own whisky’. That’s all well and good, but whisky nerds might be more interested to know that Royal Brackla was closely connected to Andrew Usher, the pioneer of whisky blending and one of the ‘fathers’ of the Scotch whisky industry. It was Usher’s blending work in the 1860s that swiftly helped to make Scotch a global drink. Not only did Usher work for the company, but he used Royal Brackla’s whisky in his early concoctions. Today Royal Brackla knocks out just under 4 million litres of spirit, which means it is huge. Naturally most of this whisky goes into blends for Bacardi-owned Dewar’s brands and, I also believe, Johnnie Walker Gold Label. You don’t often see a great amount of its spirits for sale, save for a handful of independent bottlings, which makes the new royal family all the more exciting. Colour: amber. On the nose: first impressions of a very classic, balanced blend at first, but that gives way to softer notes of sultanas and raisins. Orange marmalade, warming ginger. Flashes of late season stewed apples. Very autumnal. In the mouth: again, a very nice balance and medium texture. Malty, blood oranges, a touch of grapefruit-like acidity, and many of those notes from the nose start to show through again. Okay, so it’s not particularly complex, but I think this would be a great stepping stone from blended Scotch, and it’s worth noting there’s a decent amount of flavour even at 40% ABV. However, I think it’s going to cost £50 (ish), and there are far better whiskies out there at that price. This should be priced at £35 at the very most. Colour: deep copper. On the nose: a lot fruitier than the 12. Really very nice. Apricots, figs, toffee, something akin to an over-ripe banana (which is nice! ), slightly waxy and yes, dried fruits. Distant note of green apples. In the mouth: strong sherry notes showing, and again the flavours from the nose, but it’s really delightful. Touches of old wood, pencils, cardboard, leather and tobacco are in the distance, but the sultanas come to the fore. Yes. I could quite happily buy a bottle of this. Again, not massively complex, but it’s just very tasty, classy and perhaps regal as opposed to some bruising sherry-bomb. And yet again, not much ABV but still packs a punch. If you like The Dalmore, you’ll enjoy this. The Whisky Shop, which tends to be one of the more expensive retailers, has this at £90. Colour: russet. On the nose: fresh green apples and pears, blackcurrant leaves, a maltiness and the classic sherried notes that are an evolution of the 16 Years Old. In the mouth: chocolate, warming ginger on a rhubarb and apple crumble. Grassy in places, with honey and more waxiness. A mixture of old wood and fresh fruit elements are really interesting, before it settles into something more stately and old-fashioned. Chewy, nicely textured, with a decent enough finish for the ABV. I’m going by what prices I’ve found so far, which at £180 feels… a little too expensive, and it’s also shame that this didn’t come at a higher strength at that price. It’s a nice whisky, don’t get me wrong, but I’m not convinced it wholly deserves to be priced that high. So I couldn’t recommend this one. Three very royal whiskies. But if I had any reservations, it would be that in this particular royal family everything feels very sensible. The whiskies are on their best behaviour. It’s all very Duke and Duchess of Cambridge, and you know what you’re going to get. There are no thrills and everything’s very choreographed. Where is the Prince Harry living it in up in Las Vegas, or the Prince Philip ready to say something profoundly stupid? There is no risk-taking as of yet. No shivers down the spine. Don’t get me wrong, the whiskies are good. I like the consistency through the different whiskies, and the evolution or ‘house style’ is more obvious than the Aultmore whiskies (which I really liked). If you’re a fan of Glenmorangie’s or The Dalmore’s core range, then you’ll definitely find a lot to enjoy here. 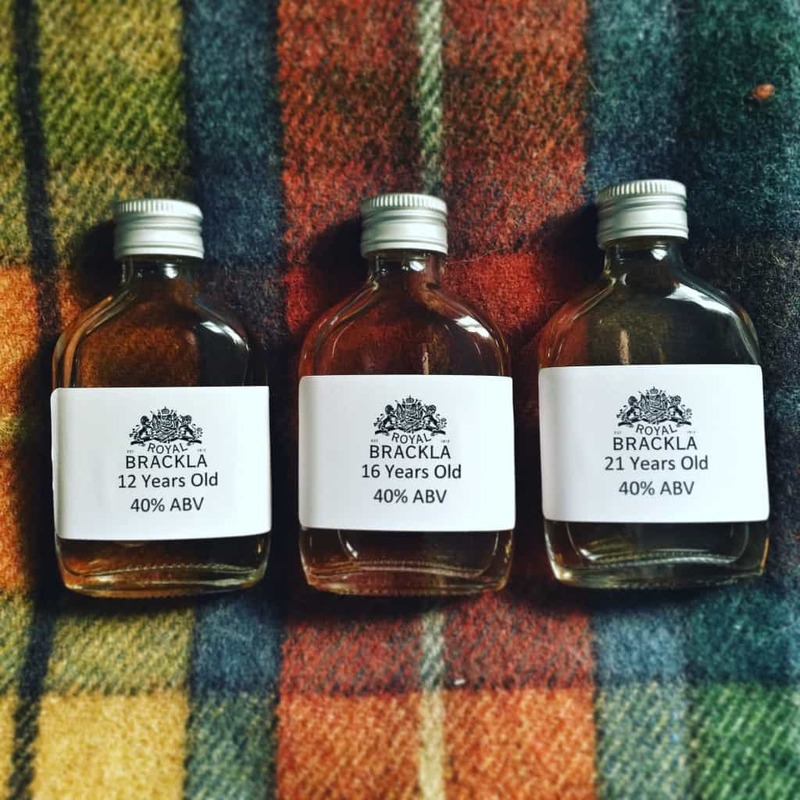 The Royal Brackla 16 Years Old is probably my favourite of the bunch, when money is taken into consideration – and that’s only going by one online retailer at the moment. It’s bound to be a shade cheaper than what I’ve found. The 16 Year Old is a fine everyday drinker, something to reach for all year round, and I’m increasingly appreciative of these types of single malts. Note: samples were sent to me on behalf of the Last Great Malts range. But as ever, that doesn’t guarantee niceness. 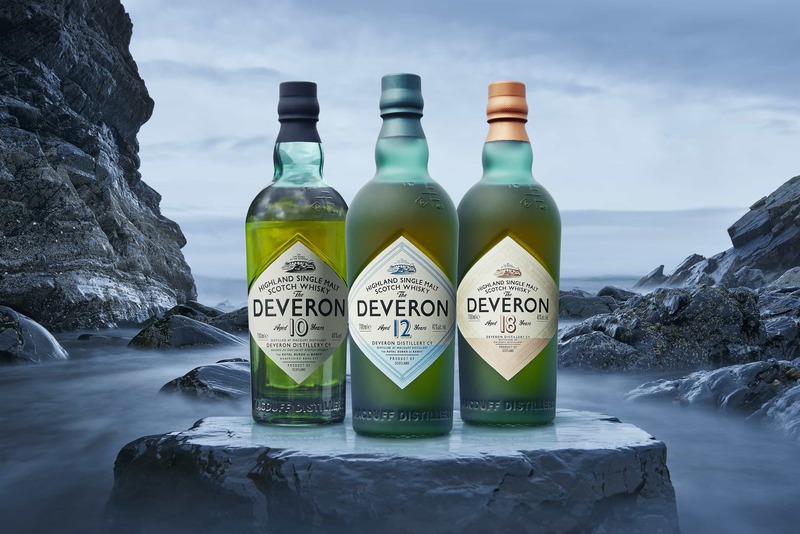 when the first notices of the Last Great Malts began to appear I was lead to think they would all come with an age statement – which they do – natural colour non chill-filtered and therefore at least with 46% abv – which is not the case entirely. The joy about the release of the Last Great Malts after Bacardi had slept through the better part of the whisky boom malt-whisky-wise on my side was dampened when with the first announcements the prices became known. The first releases of Aultmore and Craigellachie seemed to fulfill the expectations. They carried an age statement were not coloured and had 46% abv but price tags that were way beyond reason. And still are. The real disappointment began with the relaunch of Aberfeldy which only became more expensive and stayed the same otherwise. It deepened with The Deveron and culminates with Royal Brackla. It seems Bacardi still has no clue what to do with the whisky brands they bought and no idea whatsoever of what a gem Royal Brackla could be. One of my favourite malts I was happy to learn about a new standard OB range. But this is as loveless and careless as the interim release of 10-12 yo Craigellachie Aultmore and Brackla in those brown boxes of 5-6 years ago. Only today there is more marketing fanfare. Reading your reviews about the Brackla range I think that the name of the range is poorly chosen. The last malts among the five are the last malts surely but not great only expensive. That is a pitty especially in the case of Royal Brackla which could do so much better in other hands. I know what you mean about the price for some of these, and it seems a shame. There are some very good whiskies across the board, but at the higher age statements they’re starting to feel a bit too much. Time will only tell whether they’ll wish they chose to make the more affordable. I will mostly, though, enjoy these distilleries with independent bottlings. Thanks for this review and for the very interesting history of the distillery. I’m back home in Kenya after a trip to the UK, clutching a bottle of the 16-year-old recommended to me by the nice gentleman at World of Whiskies, Heathrow Terminal 4. I’m enjoying a tot as I write – tasty and classy, as the review says, very well balanced and well behaved, but I don’t mind that! A very welcome addition to the pantheon of Scotch whiskies.